To promote the Amateur Radio Service as a national asset contributing to technology education, self-development and as a stepping-stone to a career in Electronics and Communication. You can contribute to big science as a radio amateur! Regardless of your experience and resources, as a ham radio operator you have what it takes to make a meaningful contribution to science and technology. You have a window into the universe not available to most people--as every physical phenomenon, from the galactic to the microscopic, interacts with radio in some manner. 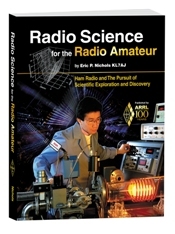 Radio Science for the Radio Amateur will lead you to horizons of scientific exploration and discovery. Radio Science for the Radio Amateur explores and explains the often profound differences between science and technology, and dispels the notion that we know all there is to know about radio. Using a fresh, playful approach, Author Eric Nichols, KL7AJ, will guide you through some of the most fascinating “nooks and crannies” of the radio universe. Along the way, you’ll find out how solving long-standing mysteries of radio, of which there are still many, doesn’t require expensive hardware, but merely a scientific mindset and attention to detail. Compact Antennas Are Possible on Top Band! 160 metres is known to radio amateurs as “top band.” However, 160-metre antennas can be large and difficult to install due to lack of available space. 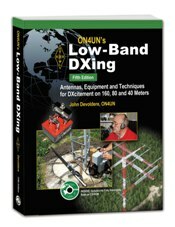 Short Antennas for 160 Meter Radio dares to discuss the possibility of smaller antennas for this intriguing band. 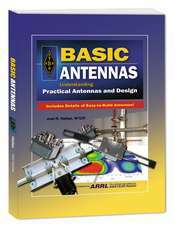 Intended for amateurs with advanced skills in antenna modeling, Grant Bingeman, KM5KG, walks you through the theory behind innovative designs for relatively compact antennas. You’ll learn how to enhance bandwidth, minimize loss, and employ other techniques to enjoy 160 meters with limited real estate. Put yourself at Mission Control! 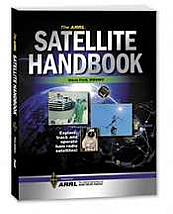 The ARRL Satellite Handbook brings the thrill of satellite communications within your reach. Filled with understandable descriptions and illustrations, this book includes all the tools you need to participate in this exciting field. 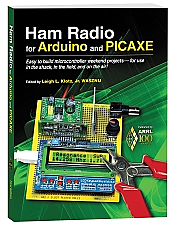 It's designed to give a broad introduction to the subject, while providing the practical fundamentals you need to explore, track and operate ham radio satellites on your own. 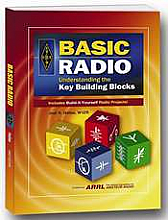 Basic Radio is a comprehensive introduction to radio - what is does and how it does it. 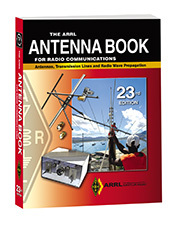 The text reveals the basic building blocks of radio: receivers, transmitters, antennas, propagation, radio navigation and radiolocation. The book also includes simple build-it yourself projects to turn theory into practice. Ideal book in addition the RAE course. It take you beyond the vary basics. 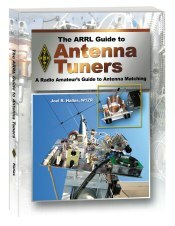 …a thoroughly revised discussion of receiving antennas. You’ll discover how to greatly enhance their operational bandwidth. In addition, low-signal transformers for Beverages and other receive-only antennas are analysed in great detail, along with effective common-mode filters. Books are shipped by Postnet to Postnet Courier Cost for P&P R120. After ordered and paid for online books may also, by arrangement, collected from Faerie Glen, Pretoria . This will save the courier charge. Please indicate on order form. More details on order form.